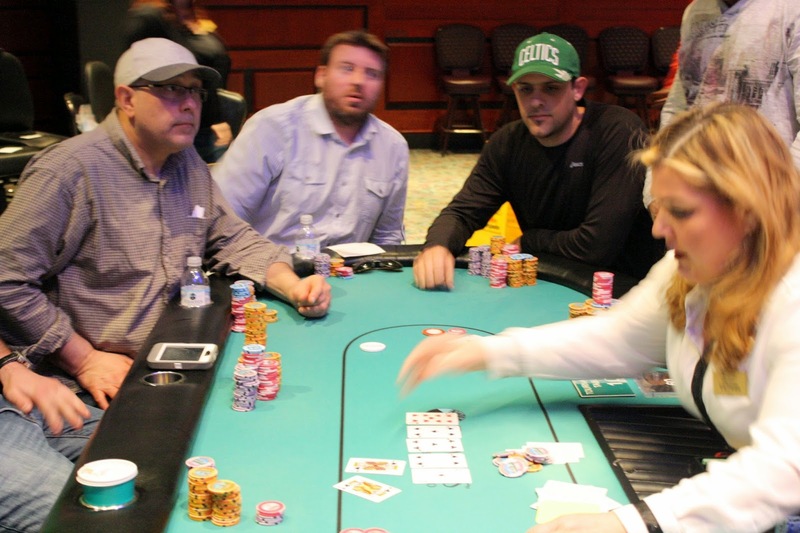 After a few close calls, the money bubble finally burst when a player opened with kings and called allin after another player reraised with ace-jack. The board ran out [Ad][4s][5c][5s][9h], and the remaining 65 players are now all in the money. Bags are being handed out, and the survivors from Day 1A will combine with Day 1B & 1C on Tuesday. We will be streaming a featured table from Day 1B tomorrow at 11am EST on www.FoxwoodsLive.com. There are 66 players remaining in Day 1A, and 65 will advance to Day 2. That means the remaining tables are now playing hand for hand. When we lose one more player, the field will bag up their chips and be done for the night. We have hit the double digits in remaining players in Event #1. The board reads 99 remaining players as we near the end of level 15. At the end of this level, there will be a break, and the 100 chips will be colored up and raced off. When players return, the blinds will be 1,500/3,000 with a 500 ante. Cards are back in the air for Day 1A of Event #1. The clock has been adjusted, and just 148 players remain from the 540 that started the day. Play will continue until there are 65 players remaining, and they will return on Tuesday to combine with the remaining players from Day 1B & 1C. We will be streaming a feature table in tomorrow's flight, and possibly one later today as well. 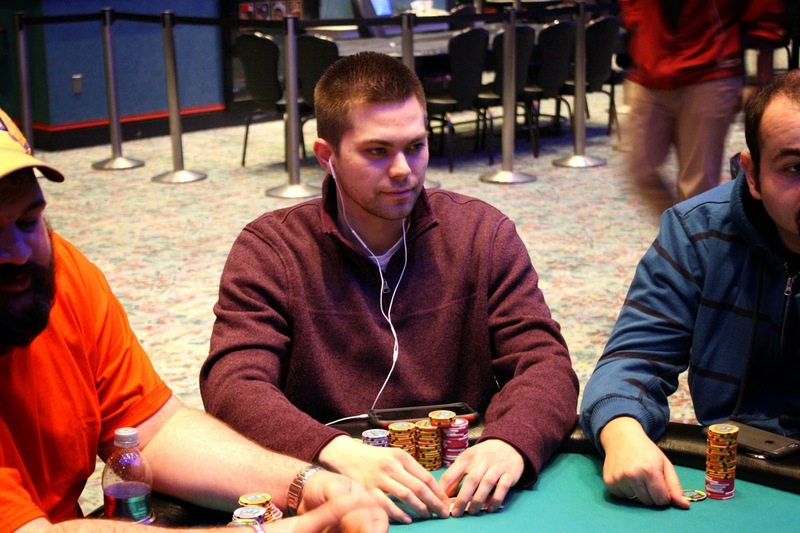 The 150 remaining players in Day 1A of Event #1 are now on their one hour dinner break. When they return, blinds will be 1,000/2,000 with a 300 ante. 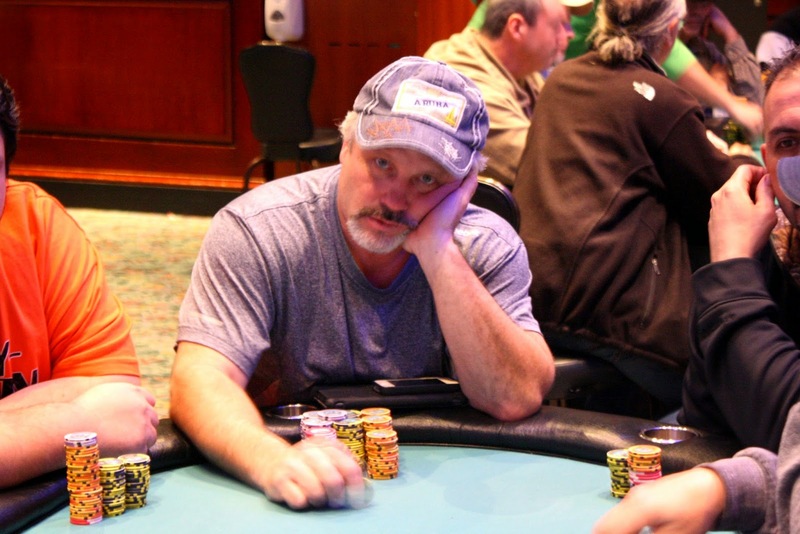 Rod Cannon is the tournament chip leader so far, sitting on a stack of 226,000. When told he was leading, Rod said, "No, what about this guy? What about this guy?" 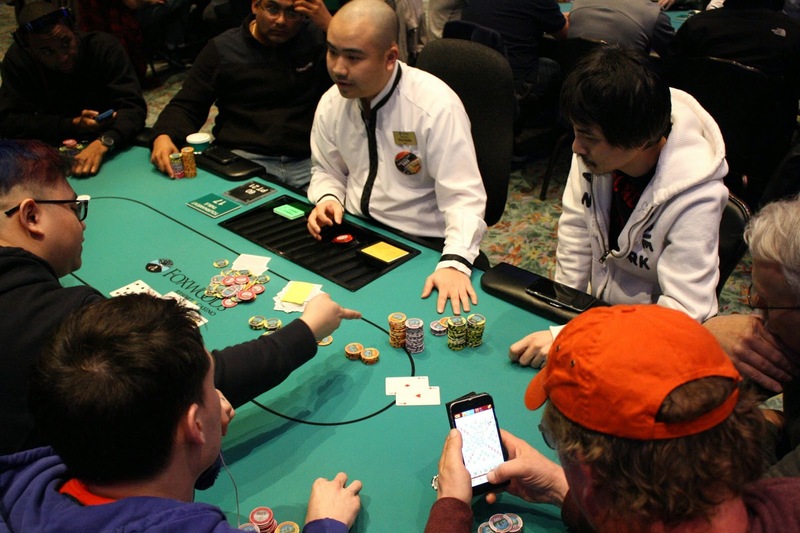 In level 13, Je Wook Oh was all in holding pocket aces against seat 5's pocket kings. The board ran out [Jc][4s][3d][8d][7s] and Je Wook's aces will hold up, doubling him up to around 140,000. Players are now on their first break of the day. 430 entrants have participated in Event #1A, and registration is still open for four more levels. Blinds will be 100/200 with a 25 ante when players return. Level 3 has now begun, which is 75/150. There have already been 360 entries for today's flight, and re-entry is open through the end of level 8. Notables in the field include Dave Stefanski, Mike Nye, Steve Happas, and Fred Paradis. The day is here. At 11 a.m. is event one of the Foxwoods Poker Classic. This event features a $500,000 guarantee and has two starting flights. 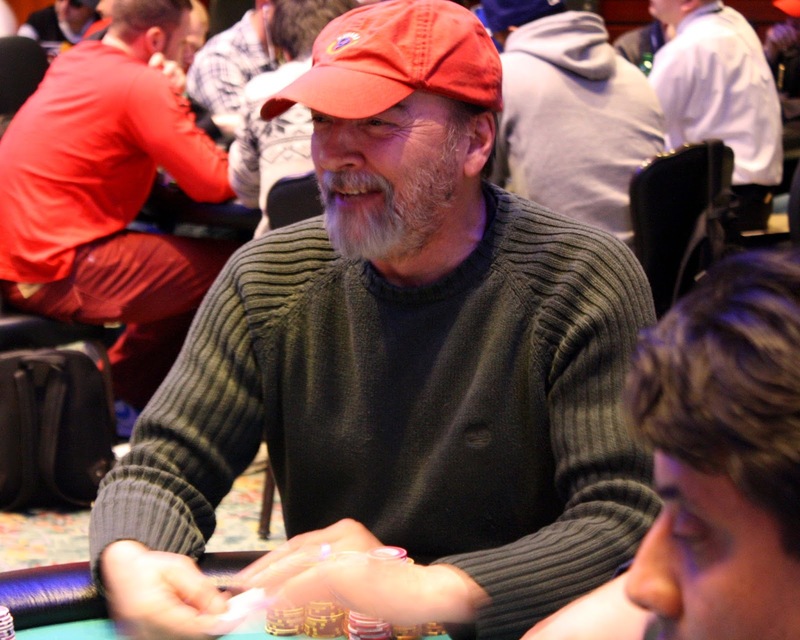 Players will get 20,000 starting chips for their $600 entry, and they may reenter.